We know how important your four-legged friend is and that a break away just isn’t the same without your trusted companion by your side. 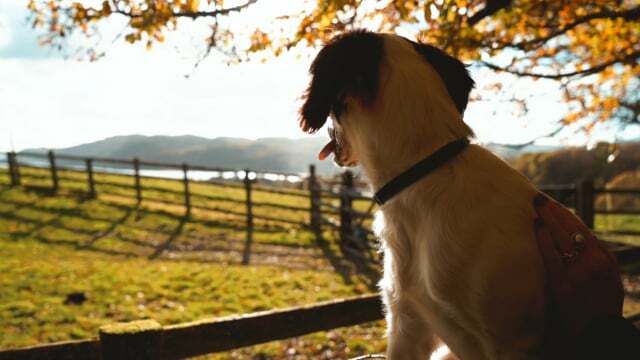 That's why all three Lake District Country Hotels are proud to be dog friendly. Many of our regular doggy guests can’t wait to check in and explore our acres of private gardens, unexplored woodlands and perhaps even take a dip into Lake Windermere from Cragwood’s jetty … and of course their owners are welcome too! On arrival your dog will receive a bowl, poo bags and some scrummy treats. We have a small charge of £20.00 for your dogs stay. Your dog is welcome in any of our bedrooms and lounges, excluding the dining room for health and safety reasons, which we are sure you will understand. To book, simply choose which hotel you would like to stay, then get on the dog and bone and give us a call.